In the words of the immortal George Takei, “Oh, my.” A breastfeeding mom on the cover of Time Magazine. Of course a breastfeeding mom will generate controversy. We live in a society where a breastfeeding mom will be asked to cover up or leave an establishment for nursing, regardless of the age of the child or the legality of her nursing wherever and whenever in the first place. But a breastfeeding mom defiantly nursing her preschooler as he stands on a chair? That’s just designed to cause sparks to fly. And the caption of “Are you mom enough?” is enough to get anyone’s hackles up. If anything, it just adds fuel to the mommy wars. So, my birth story didn’t go the way it was supposed to. Our picture perfect plan for a VBAC delivery ended in a repeat cesarean. A repeat cesarean was clearly not what we’d had planned, but it was the safest thing for Eudora, so I’m okay with that. I have to say, though, that the initial two hours after my repeat cesarean were extremely different from my c-section with Norton. With Norton, I recovered in the room with him, even though I was too heavily sedated to actually do anything with him. With Eudora, I was in the recovery unit where people tend to go after minor surgeries. I remembered being in there with Andy after he had his first surgery on his hand. I have to say, I was not blissfully bombed out of my mind after her delivery. There are always a ton of parenting decisions. Some are easier than other, of course, while others are a struggle. Even though this is my third child, I still find that I have some tough parenting decisions to make even though the baby hasn’t been born yet. Some decisions, like whether to co-sleep or not, are not even issues for me. My bed is far from a safe place based on a husband who takes sleeping pills, a pillow top mattress, three pillows each, a comforter, and two dogs. The one that I’m still struggling with, though, is something that’s simple for most people. I’m not sure that I want to be a breastfeeding mom. 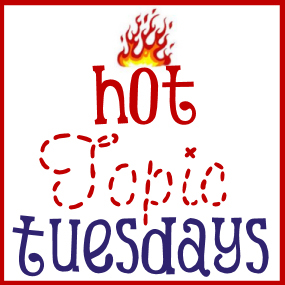 Hot Topic Tuesday – How Long Should a Breastfeeding Mom Keep Up? When it comes to how a woman feeds her baby, we have an interesting paradox. On one hand, a breastfeeding mom with a newborn doesn’t seem to be a big issue. If anything, that breastfeeding mom is given accolades for being such a good mom and doing the right thing for her baby. She might be suffering, miserable, and working her way through it in the beginning, but she’s got some amount of social support. As that baby grows up and beyond the tiny newborn phase, the support for the breastfeeding mom seems to wain. In spite of the fact that it is illegal in most of the states (I think all of them, actually) and all of Canada, women are frequently sharing their stories of being asked not to feed their babies. This fickle support begs the question: when has a breastfeeding mom been breastfeeding too long?